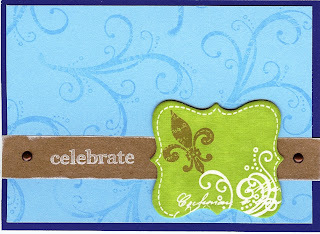 On this card I used Sky and Moonstruck card stock. I colored the Irrisistibles Dimensional Elements with Pear ink. I love the Dimensional Elements Irrisistibles because they have the part that resists the ink -- the part that's white on the green frame above. I wanted to use colors that were not included in the kit -- something springier. 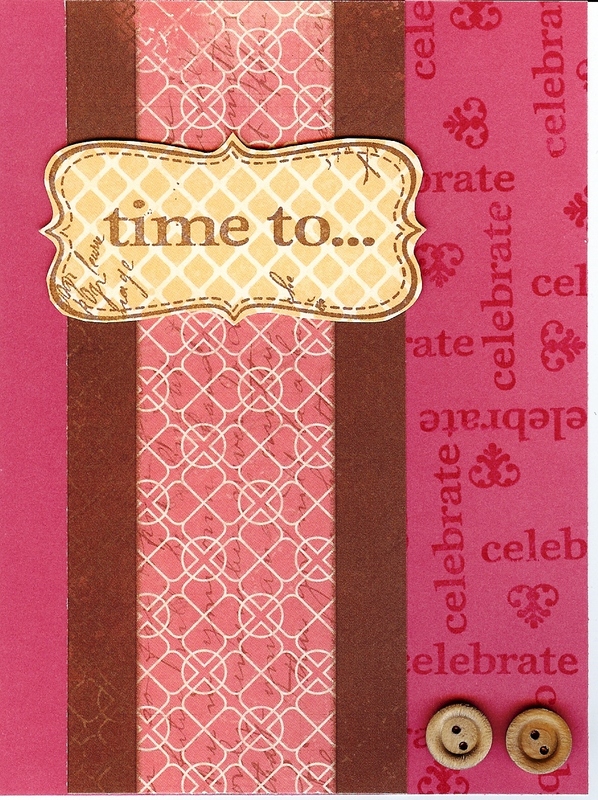 I love the swirly stamp in the You & Me stamp set. It's just the right size/scale for cards. 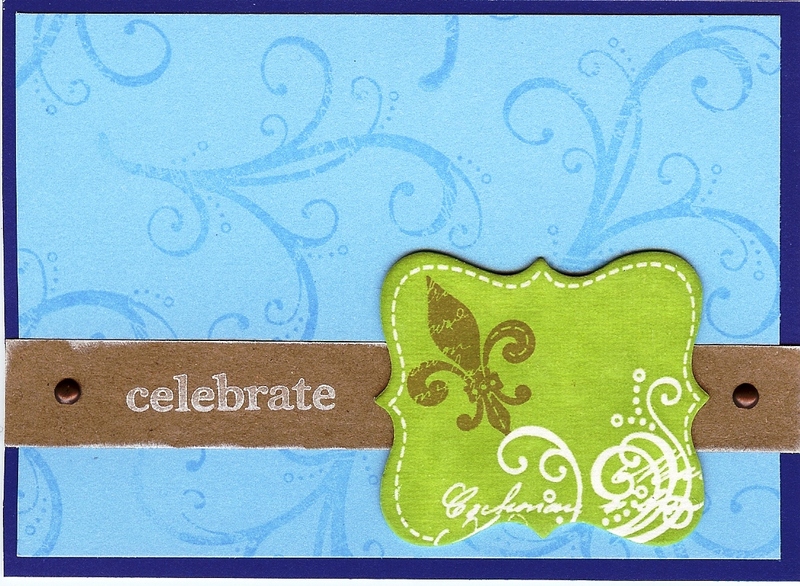 I also loved the White Daisy Ink on the Kraft Card Stock. It was kind of weird, because the Close To My Heart Kraft card stock is much lighter weight than the "regular" CTMH card stock. Just trying to make something super quick with the patterned paper that came in the You & Me Kit. 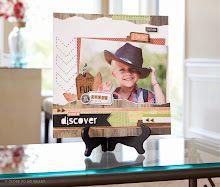 The striped page lends itself easily to being cut up. Just add a few buttons, and you're done! Easy! I love my Studio J layouts!